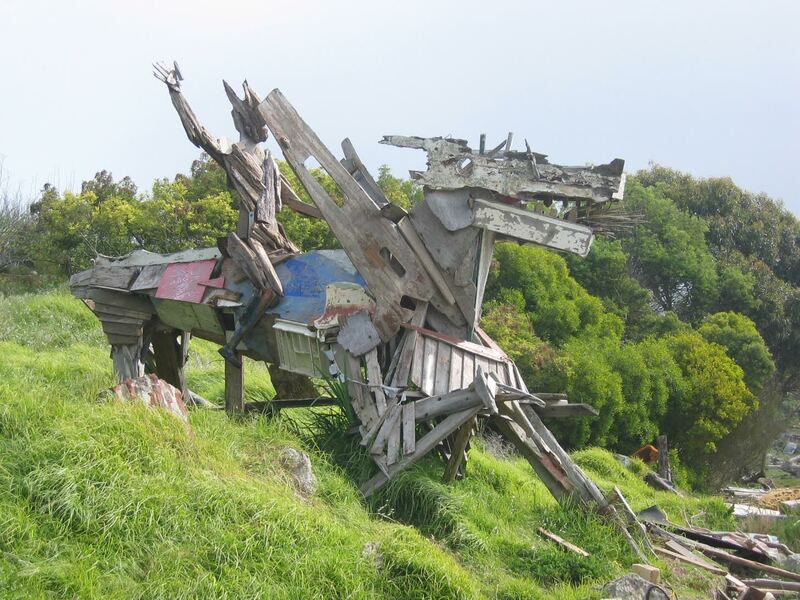 GUH Project Director Susan Moffat gives a talk on her documentary and curatorial work at the Albany Bulb, where she is working to establish an art and performance park at an old construction debris landfill known for encampments of homeless people. Andrew Herscher, Creative Cities fellow 2016-17, will serve as respondent. Just Placemaking: Arts and Community Development Towards an Equitable City is a free public lecture series co-hosted by the Stanford Human Cities Initiative and the Creative Cities Working Group. The series explores the intersection of social justice and the role of artists, curators, gallery owners, and cultural workers in supporting community efforts towards an equitable and just city. Susan's research focuses on issues including perceptions of nature and culture in public space, parks, homelessness, water and landscape, and methods of spatial narratives. As a curator, she has mounted exhibitions on cartography and on the San Francisco Bay shoreline. 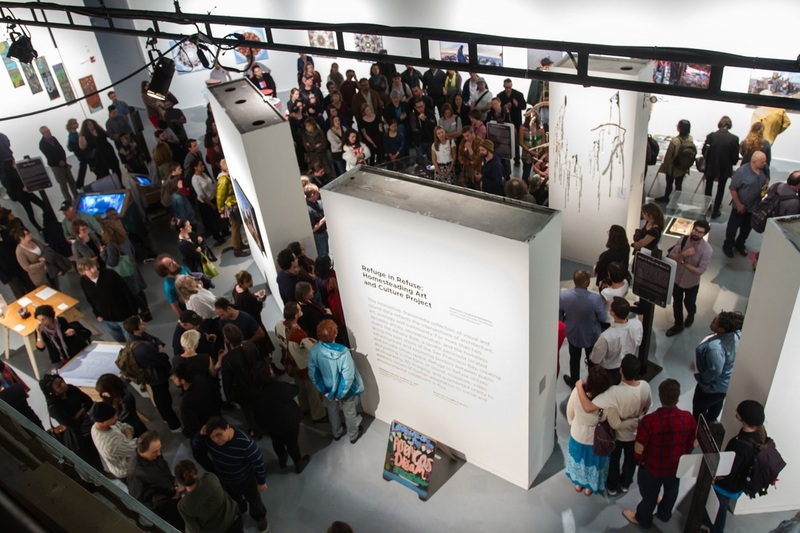 Her oral history and mapping project, Atlas of the Albany Bulb, collects place-based stories from users of wild space at the urban edge, including unhoused people and artists, and was part of the SOMArts Cultural Center exhibition Refuge in Refuse: Homesteading Art and Culture Project. She also served as a consultant on the Detour audio tour of the Albany Bulb. Susan has organized symposia including: Mapping and Its Discontents; Art, Politics, and the City in Mexico and China; and, in collaboration with the Arts Research Center, Reimagining the Urban and Public Art/Housing Publics: Conversations on Art and Social Justice. Susan has worked in the fields of affordable housing, environmental planning, land conservation and regional planning advocacy, and journalism. Her writing on Asian cities, ethnicity and place, and environmental issues has been published in The Wall Street Journal, the Los Angeles Times, Fortune, Planning, and the edited collection The Misread City: New Literary Los Angeles. She recently was a guest co-editor of the Fall 2016 special edition of BOOM: California on urban humanities. She has an A.B. in History and Literature from Harvard College, a master’s degree from the Columbia University Graduate School of Journalism, and a Master of City Planning with a concentration in Urban Design from UC Berkeley. The city is always about glimpsing other lives. There’s something about the city which breeds the fantasy of human interchangeability. Part documentary and part performance, the experimental film The Visitor subverts notions of ethnography, journalism, and fiction in a surprising journey through Mumbai, Shanghai, and São Paulo. “The visitor,” a silent figure enacted by the filmmaker, roams through three mega-cities, creating wordless encounters with random people, following a dramaturgy of chance, in which both the protagonist and the outcome of each story is not predetermined. First simply a mute presence, she becomes an intruder, friend and even beloved who shares the daily life of her protagonists, their sleeping places and their worries. Through this new presence in their life, not only does the loneliness of the people becomes apparent, but, as the relation intensifies, the border between “I” and “the other” starts to blur. “The Visitor” was created entirely through un-staged improvisations with random encounters on the streets of the three cities. Without script, with no previous idea of what was going to happen, the filmmaker and her camerawoman threw themselves into some of the biggest metropolises in the world, trying to overcome borders of fear while examining and sometimes flipping narratives of South/North and East/West. Katarina Schröter's original plan was to become a journalist. But because she mistrusted objective reporting, she instead became a director, actress and author for theatre and experimental cinema. She discovered filming in public space as a way to report about stories of our time while creating them. Katarina Schröter (1977) studied acting in Leipzig, dramaturgy in Munich, did her Master in Performing Arts at Dasarts Amsterdam and worked amongst others for the National Theater Dresden, the Residenztheater Munich, the Campo theatre Gent, the Kaii-Theatre Brussels, the Brut Wien, the Melbourne International Arts Festival as a performer, director and author. From 2010 till 2013 she worked at the company of the Neumarkt Theater Zurich as a director, author and actress. Her work has been shown in various international festivals. “The Visitor" (2014), her first feature movie, successfully ran in cinema and on festivals worldwide. 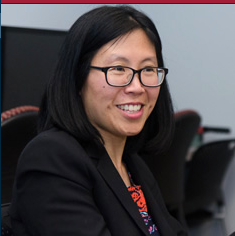 Irene Chien, Assistant Professor of Media and Communication at Muhlenberg College, speaks about moving through South Asian cities both within video games and while playing and producing such experiences. She will talk about her field research exploring the city of Dhaka, Bangladesh, which is the backdrop for some video games. Because of its low-cost technical labor pool, the city is also a production site for games set in other cities and played around the world. Professor Chien writes about the politics of race and gender in digital media, with a focus on videogames. She is writing a book manuscript based on her dissertation titled Programmed Moves: Race and Embodiment in Fighting and Dancing Videogames. Programmed Moves examines the intertwined history and transnational circulation of two major videogame genres, martial arts fighting games and rhythm dancing games. Dr. Chien argues that fighting and dancing games point to a key dynamic in videogame play: the programming of the body into the algorithmic logic of the game, a logic that increasingly organizes the informatic structure of everyday work and leisure in a globally interconnected information economy. She explores how games make bodily habituation to new forms of digital technology both intelligible and pleasurable by investing players in familiar racial, sexual, and national identifications. Dr. Chien has published on gaming in Film Quarterly and has contributed essays to Joystick Soldiers: The Politics of Play in Military Video Games and the forthcoming Identity Matters: Race, Gender, and Sexuality in Video Game Studies. Part of the Cities and Bodies speaker series. Christopher Downey, AIA, is an architect, planner and consultant who lost all sight in 2008. Today, he is dedicated to creating more helpful and enriching environments for the blind and visually impaired. 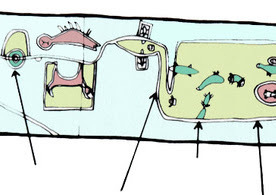 Architecture and city planning tend to be dominated by visual thinking. What can designers learn by paying attention to all of our senses? Downey will speak about what he has learned about employing previously underused senses to navigate in the city and how these lessons have affected his design practice. Together we'll discuss the classic phenomenological text on vision and other senses by Junahi Pallasmaa, The Eyes of the Skin: Architecture and the Senses and will consider what the growing interdisciplinary field of sound studies can contribute to design. Downey consults on design for the blind and visually impaired, encompassing specialized centers as well as facilities serving the broader public. His work ranges from a new Department of Veterans Affairs blind rehabilitation center, to renovations of housing for the blind in New York City, and to the new Transbay Transit Center in San Francisco. As one of the few practicing blind architects in the world, Downey has been featured in local, national and international media stories and speaks regularly about architecture and visual impairment. He also teaches accessibility and universal design at UC Berkeley and serves on the Board of Directors for the Lighthouse for the Blind in San Francisco. He starts each day rowing with the East Bay Rowing Club on the Oakland Estuary before commuting on public transit to his office in San Francisco. Join us this evening, Friday, October 7, for an experimental installation and conversation from Walter Hood's The Museum and the City studio at Oakland Museum of California's First Fridays event. Join Laura Inserra of Samavesha and environmental artist Zach Pine for an afternoon of exploring a former construction debris landfill through music, making art with found materials, and contemplating space. 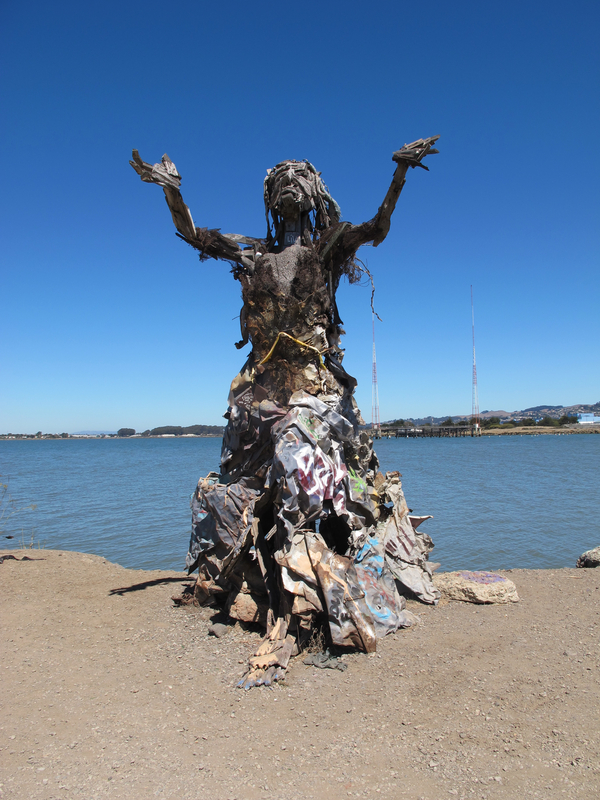 The Albany Bulb is a contested piece of shoreline land known for its spectacular views, informal art, and a past history of homeless encampments. Sponsored by Love the Bulb, the Albany Community Foundation, and the Global Urban Humanities Initiative. RSVP required via Eventbrite at http://bit.ly/carecreate. 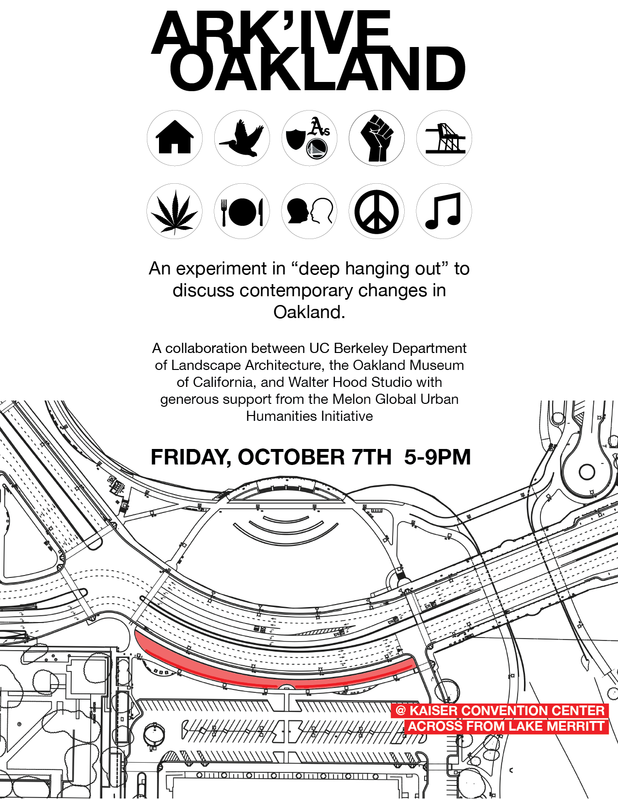 Organized by the Berkeley Center for New Media and Co-sponsored by the Global Urban Humanities Initiative, the Center for Science, Technology, Medicine & Society, and the School of Information’s Center for Technology, Society, and Policy. Few have been more prescient in understanding the networked nature of cities, and the complex and subtle way people and information work together to create urban life, than Jane Jacobs. Historian of urban computing Jennifer Light and Jane Jacobs scholar Peter Laurence join us for a masterclass that will discuss the data and technical methods that can be used to build the personal experiences at the core of Jane Jacobs’ vision for cities. We’ll be taking an close look at the digital technologies currently used in city planning and considering what new tools are needed to achieve our urban planning goals. As we investigate this topic further, we’ll also touch on exactly how cities function with such a layer of networked communication. Moderated by BCNM Director and Professor of Architecture and Urban Design Nicholas de Monchaux, this masterclass is open to current UC Berkeley faculty and graduate students. We welcome participation from all disciplines: the conversation will explore the engineering, design, ethical, and political implications, among others, of the “smart” city. Light, Laurence, and de Monchaux will be joined by Code for America founder Jennifer Pahlka and SPUR Editorial Director Allison Arieff for a public panel discussion on the digital city at 6 PM at SPUR San Francisco. Registration available at BCNM's event page. The built environment of cities is created by human bodies, for human bodies. But too often, cities fail to meet the people’s physical needs–as well as associated emotional and psychic needs­. Is it possible to use techniques rooted in dance and theater to better understand and design space? How can we use bodies not only to measure quantifiable space but also to determine how well it performs in terms of publicness, equity, comfort, etc.? Choreographer Erika Chong Shuch and urban designer A. Ghigo DiTommaso conducted experiments in using performance as a design tool in their 2015 Global Urban Humanities course called Public Space: Placemaking and Performance. Their students created performances in spaces ranging from a Costco warehouse store to a plaza in Downtown Berkeley in order to ask questions about place, space, and the right to the city. In this talk, they’ll describe their experience of working across disciplines, what they learned from each other, and how their professional practices were influenced by their pedagogical experiments. Part of the Cities and Bodies colloquium of the Global Urban Humanities Initiative, an interdisciplinary project that investigates cities using methods from the arts and humanities as well as from the environmental design disciplines. Erika Chong Shuch is a choreographer, director, and performer as well as a teacher. She is the artistic director of the Erika Chong Shuch Performance Project, a group of artists and galvanizers who create and present original performance work. Valuing vulnerability and humor, the company’s ruminations coalesce into imagistic assemblages of music, movement, text, and scenic design. Shuch has a BA in Theater Arts with an emphasis in Dance from UC Santa Cruz and an MFA in Creative Inquiry from the New College of California. A. Ghigo DiTommaso was a core member of the Rebar Art & Design Studio, which pioneered experiments in tactical urbanism including parklets and other temporary installations. Since 2014 he has been part of Gehl Studio, based in San Francisco. He was trained as an architect and urban designer in Florence and sharpened the tools of the trade in Barcelona, where he had a professional practice and conducted academic research. At the College of Environmental Design, besides teaching, Ghigo also coordinates the Adaptive Metropolis Alliance and leads a new undergraduate summer program focusing on urban innovation called Disc. Ghigo holds a PhD and a MScArch from EtsaB, Barcelona School of Architecture, and a M.Arch and a B.Arch from the Università di Firenze. Rue Mapp founded Outdoor Afro to celebrate and inspire Black connections to nature. Mapp focuses on building outdoor leadership and creating a new narrative of who gets outdoors. She will discuss how she draws on literature, history, music, and radicalism to create relevant outdoor experiences. Originally beginning in 2009 as a blog, Outdoor Afro has since captured the attention and imagination of millions through a multi-media approach, grounded in personal connections and community organizing. From its grassroots beginning, now Outdoor Afro enjoys national sponsorship and is recognized by major organizations for the importance of diversity in the outdoors. Mapp's ongoing work has been recognized with numerous Awards and Distinctions: The Root 100 as one of the most influential African Americans in the country, Outdoor Industry Inspiration Award, 2014 National Wildlife Federation Communication award (received alongside President Bill Clinton) and in May 2015, Family Circle Magazine selected Rue as one of America’s 20 Most Influential Moms. She is proud to serve on the board of the American Camp Association, and the Outdoor Industry Association. In 2014, Rue was appointed to the California State Parks Commission by Governor Jerry Brown. Mapp is a graduate of UC Berkeley (with a Degree in Art History), resides in Oakland, CA and is the proud mother of three active teenage children. 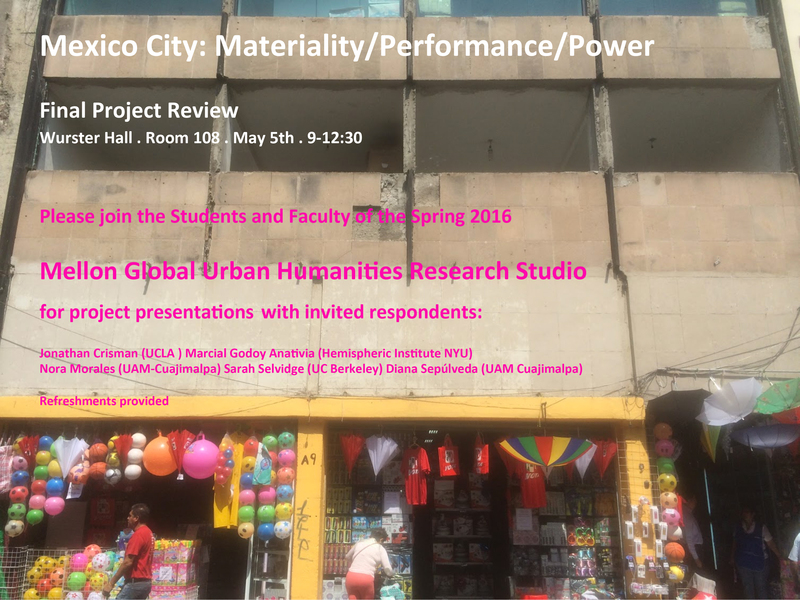 Come meet Global Urban Humanities Initiative faculty and students and learn about upcoming courses and events, an upcoming graduate certificate, and see work from past exhibitions and publications. Lawrence Weschler’s book Domestic Scenes: The Art of Ramiro Gomez (Abrams, 2016) delves into the life and art of a rising young Los Angeles artist to raise questions of social equity and explore the chasms separating cultures and classes in America today. Born in 1986 in San Bernardino, California to undocumented Mexican immigrant parents, Gomez is an artist whose work evokes the divide between affluent Angelenos and their usually invisible domestic help—the nannies, gardeners, housecleaners, and others who make their lifestyles possible—by variously inserting ima­ges of such workers into pastiches of iconic David Hockney paintings, subtly doctoring glossy magazine ads, and subversively slotting life-sized painted cardboard cut-outs into real-life situations. Weschler is the author of seminal books on Robert Irwin (Seeing is Forgetting the Name of the Thing One Sees, 1981/2008), the Museum of Jurassic Technology (Mr. Wilson’s Cabinet of Wonder, 1995), and torture in Latin America (A Miracle, A Universe: Settling Accounts with Torturers, 1990). Cosponsored by the Global Urban Humanities Initiative, Townsend Center, Department of Ethnic Studies, BAMPFA, and History of Art Department. 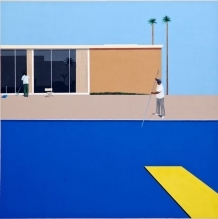 Image: No Splash (after David Hockney’s A Bigger Splash, 1967), Ramiro Gomez, 2013, acrylic on canvas; 96" x 96"
After the screening there will be a Q and A with J.P. Sniadecki. 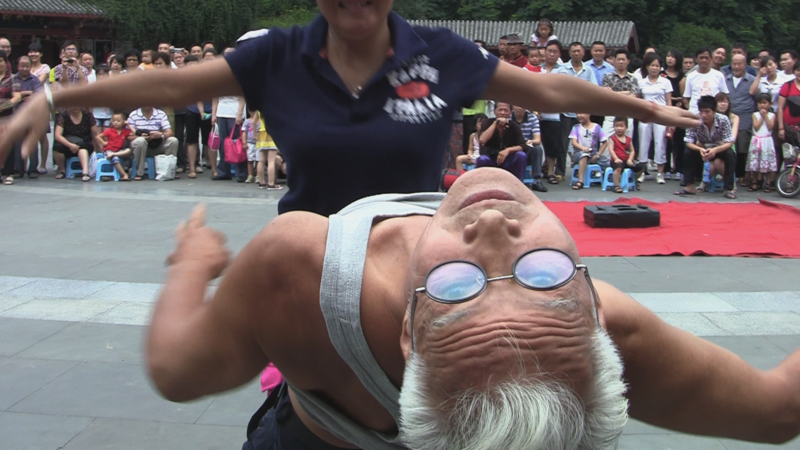 PEOPLE’S PARK is a 78-minute single shot documentary that immerses viewers in an unbroken journey through a famous urban park in Chengdu, Sichuan Province. The film explores the dozens of moods, rhythms, and pockets of performance coexisting in tight proximity within the park’s prismatic social space, capturing waltzing couples, mighty sycamores, karaoke singers, and buzzing cicadas in lush 5.1 surround sound. A sensory meditation on cinematic time and space, PEOPLE’S PARK offers a fresh gaze at public interaction, leisure and self-expression in China. Co-Sponsored by the Global Urban Humanities Initiative and the Experimental Ethnographies Townsend Working Group. J.P. Sniadecki, assistant professor of radio/television/film, is a filmmaker and anthropologist active in the United States and China. 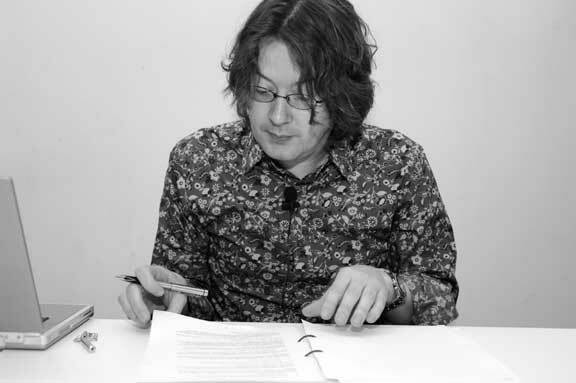 An affiliate of the Sensory Ethnography Lab, he holds a PhD in Social Anthropology with Media from Harvard. His films have screened at festivals such as the Berlinale, Locarno, New York, AFI, Edinburgh, Rotterdam, San Francisco, Viennale, Vancouver, BAFICI, RIDM, Cinema du Reel, Riviera Maya, FICUNAM, and DOChina as well as at venues such as New York’s MoMA and Guggenheim, Vienna’s MAC, Beijing’s UCCA, the 2014 Shanghai Biennale, and the 2014 Whitney Biennale. 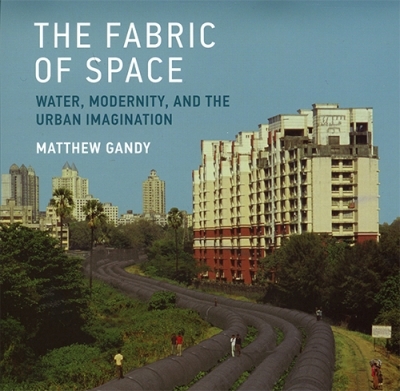 Following his Monday, March 28 lecture at Wurster Hall, Matthew Gandy, Professor of Geography at the University of Cambridge, will discuss the ways that the human control of water has shaped aesthetics and power in contemporary and historical cities. Other participants in the informal April 1 roundtable will include Charisma Acey (Department of City & Regional Planning), a specialist in water supply in African cities, Mia Fuller (Italian Studies), who is researching the draining of the Pontine marshes under Mussolini and Pedro Pinto (PhD, UC Berkeley, Environmental Planning) who studies rivers and urban form. Presented by the Institute of International Studies Interdisciplinary Faculty Seminar on Adaptation to Variability: Water Management In Mediterranean Climates and the Global Urban Humanities Initiative. Néstor García Canclini is an Argentine-born academic and anthropologist, known for his theorization of the concept of "hybridity." He received his PhD in Philosophy at University of Paris X: Nanterre in the late 70s. He is currently Professor at the Universidad Autónoma Metropolitana in Mexico City and Director of Studies in Urban Culture. His books include Imagined Globalization and Art Beyond Itself: Anthropology for a Society without Story (Duke University Press, 2014); Hybrid Cultures (University of Minnesota Press, 1995), which was the recipient of the first Ibero-American Book Award for the best book about Latin America; and Consumers and Citizens (University of Minnesota Press, 2001). This event is sponsored by the Global Urban Humanities Initiative. Matthew Gandy was born in Islington, North London, and completed his PhD at the London School of Economics in 1992. He has taught at the University of Sussex (1992-1997) and at University College London (1997-2015) where he was Director of the UCL Urban Laboratory from 2005-11. From 2015 he has been Professor of Cultural and Historical Geography at the University of Cambridge and a Professorial Fellow of King’s College. He has been a visiting professor at several universities including Columbia University, New York; Humboldt University, Berlin; Newcastle University; Technical University, Berlin; UCLA; and UdK, Berlin. His books and edited collections include Concrete and clay: reworking nature in New York City (2002), The return of the White Plague: global poverty and the “new” tuberculosis (2003), Hydropolis (2006), Urban constellations (2011), The acoustic city (2014), and The fabric of space: water, modernity, and the urban imagination (2014), along with articles in Annals of the Association of American Geographers, New Left Review, Society and Space and many other journals. He is a co-editor of International Journal of Urban and Regional Research and serves on a range of editorial boards. He is currently researching the interface between cultural and scientific aspects to urban bio- diversity and is holder of an ERC Advanced Grant exploring spontaneous spaces of urban nature. His book Moth is forthcoming in the Reaktion animal series in the spring of 2016. This lecture series is sponsored by Landscape Architecture & Environmental Planning and the Global Urban Humanities Initiative. Inspired by recent interventions in Indigenous, feminist, postcolonial, queer, ethnic, and Black studies, the Society of Radical Geography, Spatial Theory, and Everyday Life’s 2016 symposium will ask how the spatiality of sovereignty is felt, practiced, embodied, and imposed at different scales. Our desire to open up the concept of sovereignty is inspired by our current political moment, including but not limited to: Israeli settler colonialism; anti-Black state violence; debt regimes that undermine the sovereignty of postcolonial nations; global inequality and transnational flows of migration and labor; U.S. militarism and empire; and Indigenous decolonial politics. Guest speakers include Professor Mishuana Goeman (Gender Studies, UCLA) and multidisciplinary artist Gelare Khoshgozaran. Sponsored by the Society for Radical Geography, Spatial Theory, and Everyday Life. Co-Sponsored by the Center for Race & Gender; Haas Institute for a Fair and Inclusive Society; CED Arcus Endowment; Gender & Women's Studies; Native American Studies Program; Queer and Transgender Advocacy Project at the Graduate Assembly, and the Global Urban Humanities Initiative. How can performance illuminate public spaces, examine their histories and futures, and shed light on the way we design and inhabit our cities? In 2008, and again in 2013 and 2014, Ava Roy, Artistic Director of We Players, mounted site-integrated productions of Macbeth at the massive historic fort at the base of the Golden Gate Bridge known as Fort Point. 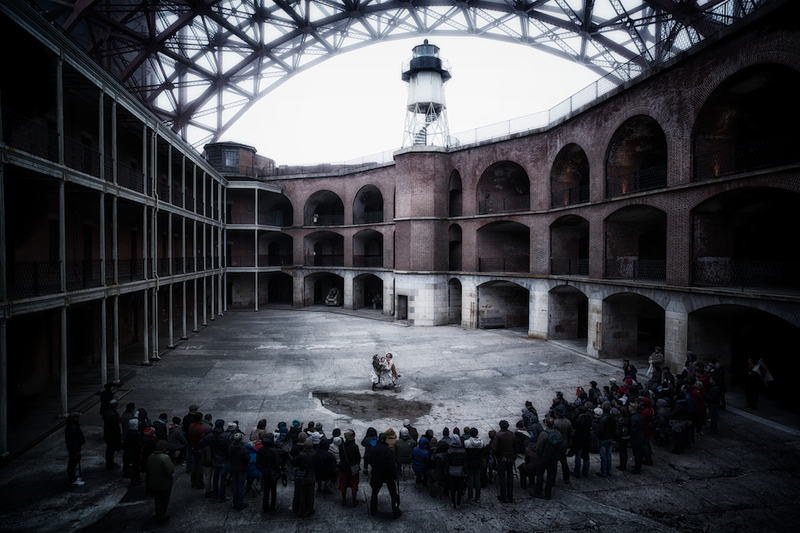 Moving the audience and actors through the multi-storied galleries, vast courtyard and dark stairwells of the Civil War-era fort, Roy explored Macbeth's themes of ambition, power, and violence via the resonant spaces of the building and the foggy atmospherics of the site. From the rumble of cars overhead on the steel bridge to the sound of footsteps and voices on stone, the sonic as well as the visual frames of the space created a powerful vessel for theater and memory. In this tour and workshop, Roy will explain the process by which she makes decisions about the use of space in her site-integrated performances. Participants will try out techniques for physically examining spaces with bodies and voices--methods that may be useful for urban design, architecture, performance, or historical investigations. Space is limited to 25 participants and will be distributed on a first-come, first-serve basis. Please RSVP to susanmoffat@berkeley.edu by February 25, 2016. Ava Roy is the founder and artistic director of We Players. Since its founding in 2000, We Players has presented site-integrated performance events that transform public spaces in to realms of participatory theater. Past productions include The Tempest at the Albany Bulb, The Odyssey at Angel Island, Hamlet on Alcatraz, and Ondine at Sutro Baths. Since 2008, We Players has forged unprecedented partnerships with the National Parks Service and California State Parks. In a three-year artistic residency at Alcatraz (2009-2011), We Players catalyzed examinations of incarceration through exhibitions of artwork by current prisoners at San Quentin, and screenings of documentaries on the American penal system. Mark Fleishman is head of Drama at the University of Cape Town. He has contributed articles to journals and chapters for books but the main body of his research has been realized through production. He is a director of Magnet Theatre, has created 18 new works for the company over 20 years, and is involved in a number of projects in urban townships and rural communities. 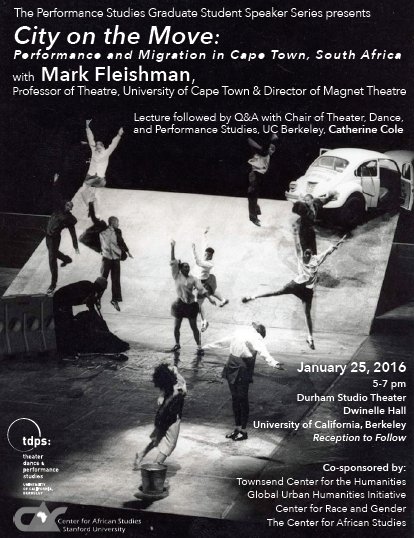 Mark Fleishman, Professor of Drama at the University of Cape Town, South Africa and Director of Magnet Theatre, will give the annual Graduate Speaker Series keynote at the Department of Theatre, Dance, and Performance Studies. He will discuss his latest research examining Cape Town’s performance as a city defined by both migration and mobility. His examination of the conceptual and actual route between Cairo to the Cape is of particular interest to grad students focused on performance, postcolonial cities, migration, and community-based projects. A conversation with a UC Berkeley professor Catherine Cole will follow the keynote address. Food will be provided! Optional reading will be provided.